Many homeowners frequently ask an Air duct cleaning Glendale technician if it is possible to complete air duct cleaning for themselves. Of course a professional air duct cleaning service does have special equipment, but if your DIY skills are fairly well developed, you should be able to conduct basic home air duct cleaning. 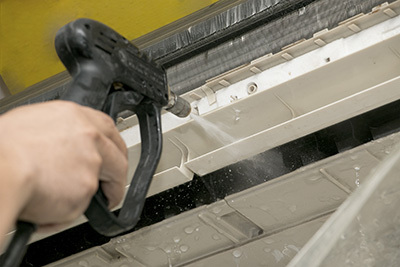 Regular ventilating cleaning is essential to prevent a build-up of particles such as dirt, dust and other debris from becoming accumulated in your vents and ducts. Care should be taken in case there are any mold spores or bacteria present in the ducts, so ensure that you wear a protective mask and gloves. • Use a craft knife or box cutter to slice open access panels to reach the cleaning areas. You will need one access panel in the main supply line of the ducts and another at the rear of your furnace near the return line. • Fasten your high powered vacuum into the access holes and ensure the nozzle is fully covering the gap to prevent debris from escaping. • Close up every vent in your home to prevent contaminants escaping and compromising your indoor air quality. 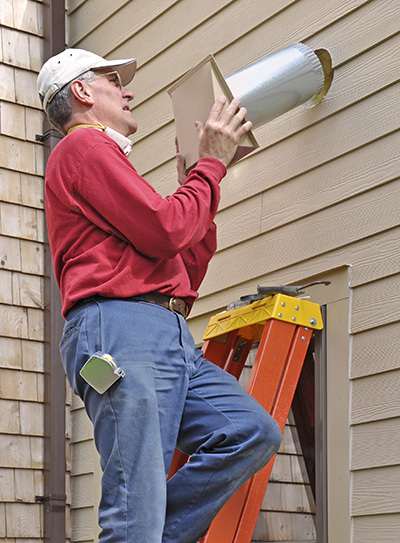 Home systems can vary, so be sure you know how many vents your particular system contains. • Once you are confident all vents have been fastened up, power up the specialist vacuum. This vacuum differs from a conventional domestic vacuum cleaner as it establishes a negative pressure system in the ducts which allows proper cleaning. 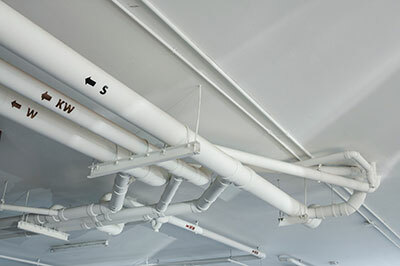 • While the vacuum is running, each vent needs to be opened individually to clean that section of ducting. • Once all the debris has been cleaned back towards your furnace, you can switch off the vacuum. • Carefully remove the nozzle and be sure to properly reseal your access breaks. HVAC systems and models can vary greatly, so if you are unsure about any aspect of cleaning or maintenance, you should consult the manufacturer instructions for advice on your particular system.